Only a few witnesses, at the moment, are there of the horrific deeds of partition, and a fewer of them are hale and hearty to narrate the developments that did change the Indian subcontinent. But surely those octogenarians and their immediate scions are desolate (these days) watching the plights of Hindus and how its indigenous leadership has failed to establish a clout of its own on the whole. 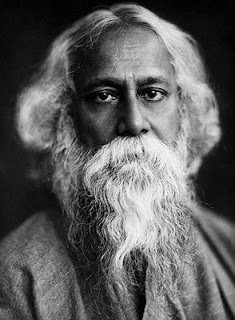 But there were indeed good hopes in the initial years, especially among refugees of (erstwhile) undivided Punjab and Bengal, as they thought independent India, unlike Pakistan, would give the Hindu community its coveted rights. Had those individuals predicted the ongoing incidents, they definitely would have asked their descendants to adhere to martial trainings as well apart from opting for businesses or services. Here is the reality – positions of Hindus are getting vulnerable to Islamic marauders increasingly with the passing of each day almost and the best specimen of this can’t be save the length and breadth of West Bengal, undergoing the mounting onrushes. The recent incident of SingerHat can be an eye-opener to the ignorants, still having somewhat conviction in the inexplicable saga of state-sponsored Secularism. The incident that did initiate as a mere scuffle between the two communities, under the auspices of their youth representatives, turned into a major schism, that is becoming a major feature in parts of West Bengal these days. What did lead to the scuffle? Well, as usual, the brawl was instigated by the Muslim youths who leave no stone unturned to hurl ridicules on the Hindu beliefs. The Muslim youths were found to malign Hindu pantheon and beat Hindus mercilessly but what did amaze them at this time was a grand resistance from Hindus (energized by Hindu Samhati) equipped and also competent enough to resist any nefarious design. Well, the sole credit goes to Shyamal Patra, local Rural Guard Party (Rural Police Volunteer Force) leader and also a pro-Hindu activist. But what did happen afterwards proves the existing stance of the state structure of India, committed in considering Muslims as Caesar’s wife (who can’t be questioned ever). The colossal Hindu contingent of Karanjali Gram Panchayat comprising 20 villages under Kulpi PS, South 24 Parganas made the local governance green about the gills or simply perturbed. Mr. Patra who was asked to visit the local police station (PS) for a meeting was completely harassed and also mentally tortured during the meeting, participated by local leaders of all parties (Trinamool Congress and CPM) also, by the police and administration. What is more striking, the police, aghast at any form of Hindu virility and adept in placating Muslim thugs, did not miss out any opportunity to hound Mr. Patra in the hospital (where he was admitted as per doctor’s advices) even and did harangue him in all possible manners. 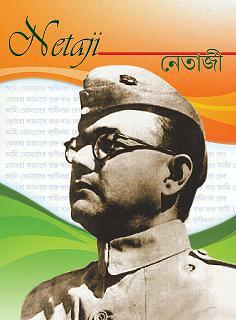 However, the Hindu manliness, at this time, was too for the police and administration along with political parties. As a result, police had to assure that there would be no more problems in Singerhat and the local administration would fully lend the Hindu population a hand, to ensure that no Hindu properties would be appropriated by dishonest Muslim encroachers. The assurance was enough to calm down Hindu strugglers. But a leopard can’t change its spots…………….as far as fresh sources are concerned, local Muslims under the headship of Trinamool Congress leaders like Akbar Paik, Habib Purkait (heads of Karanjali and Kamarchak Gram Panchayat respectively) and Shahabuddin Gaji, influential CPM leader in the neighborhood, are planning to inflict the worst attacks on the Hindus. The first and foremost intent, at this time, is to raze the local Hindu organization in order that Muslims can conquer the Singerhat market area yet again and drive all Hindu shopkeepers and others for good. This time the rural jehadis in Bengal tried to make a big collision with the Hindus in Singherhat on 23rd August '10 and pawned by the Hindu resistance force though a little bit late. Police intervened the matter with a political fervour of protecting the Islamic intentions. 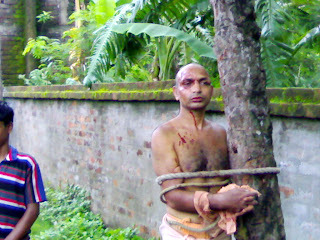 But, amazingly all the antagonist Hindu elements compelled to restrain themselves , after a Hindu mob of 500 strength demonstrated before the Kulpi police station against the assault upon Mr. Patra and other Hindu locals blocked the road (NH 117) at Singherhat, both on 28th August to register their protest over increasing Muslim hooliganism. Local police assured to take action accordingly. Hindu Samhati is keeping tabs on the entire situation to forestall any untoward incident. See video : Interview of Shyamal Patra. Hindus in West Bengal need a news paper of their own. It is a necessity.